Valentine’s Day can be a terrible time for jilted lovers and those dealing with rejection, but now even those simmering in anger can delight in the holiday by adopting a hissing cockroach or hairy scorpion in honor of their former lovers. Looking to drum up support for some of its less cuddly critters, the San Francisco Zoo is putting a twist on Valentine’s Day. Instead of adopting a penguin, flamingo, or giraffe, people now have a limited-time opportunity to adopt a Madagascar hissing cockroach or a giant hairy scorpion. Better yet: Those who choose to participate can dedicate their donation to an ex. 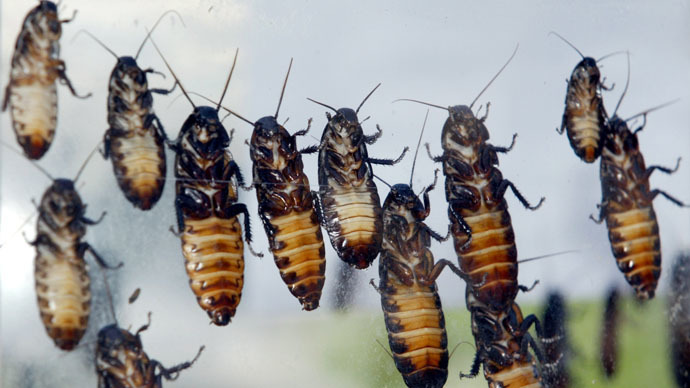 As part of the deal, those who adopt a cockroach can choose to send their “gift” to whomever they want – donations start at $24 – and the recipient will be in for quite a surprise. The San Francisco Zoo will then notify that person of the adoption, sending them a red Valentine’s Day box complete with little plastic cockroaches inside. Starting at $50, donations will bag donors (or their former significant others) a plush scorpion, in addition to a certificate confirming the adoption. Unlike other “revenge” websites, however, the money collected by the zoo actually goes to a good cause. All donations are used to support the zoo’s efforts to care for the animals and help boost its mission of raising awareness for conservation and wildlife.